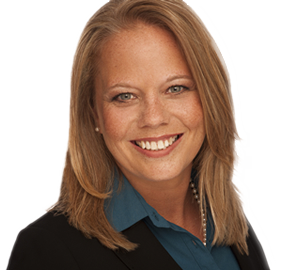 Michelle Kaminsky joined Hite Kaminsky Family Law & Mediation, PLLC (formerly the Law Offices of Kelly S. Hite) in 2010 and became a partner in 2015. Previously, she served as a Law Clerk for the Honorable David S. Schell of the Fairfax County Circuit Court. Ms. Kaminsky practices family law in the Northern Virginia area, assisting clients with divorce, child custody and visitation, grandparent/third party custody and visitation, child support, spousal support and alimony, settlement negotiations, pre-marital agreements, enforcement issues, and adoption. Ms. Kaminsky is Co-Chair of the Fairfax Bar Association’s Juvenile & Domestic Relations Court Committee and also serves on the Fairfax Bar Association Circuit Court Committee. She has additionally served on several Judicial Screening Committees to evaluate candidates for vacancies on the Fairfax County Circuit Court, the Fairfax County Juvenile & Domestic Relations Court, and the Arlington County Juvenile & Domestic Relations Court. Ms. Kaminsky was also a member of the Northern Virginia VWAA Mt. Vernon Initiative, a program established to mentor high school girls who are interested in the legal profession. Ms. Kaminsky is a native of Tucson, Arizona, where she received her B.A. from the University of Arizona. Prior to law school, she was an Academic Advisor and high school English teacher. Ms. Kaminsky received her J.D. from the Columbus School of Law at Catholic University of America, where she developed an interest in adoption law. While at the Columbus School of Law, Ms. Kaminsky was a member of the Catholic University Law Review and in 2008 she authored a publication related to adoption entitled, “Excessive Rights for Putative Fathers: Heart of Adoptions Jeopardizes Rights of Mother and Child,” 57 Cath. Univ. L. Rev. 917 (2008). Ms. Kaminsky has lived in Northern Virginia since 2005.